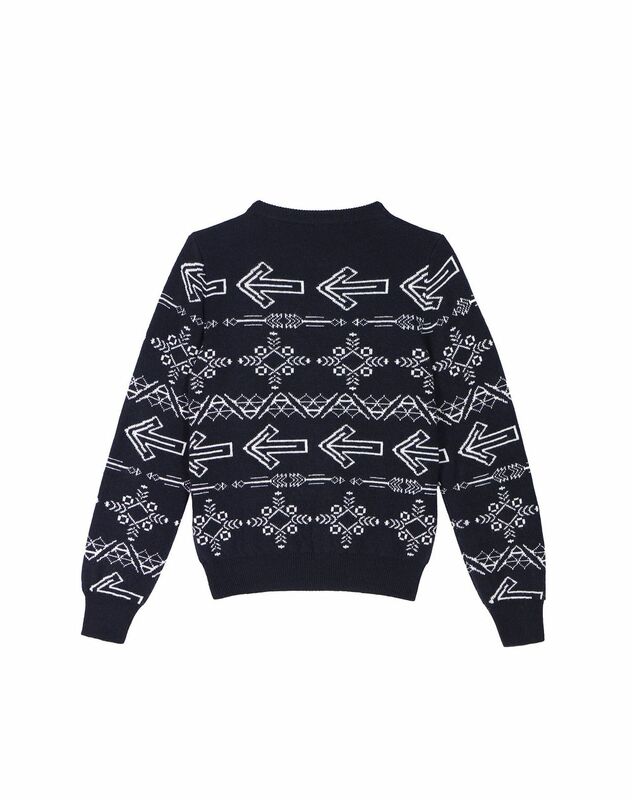 Long-sleeved navy blue wool jacquard sweater, round collar, arrow motifs and ribbed hems. 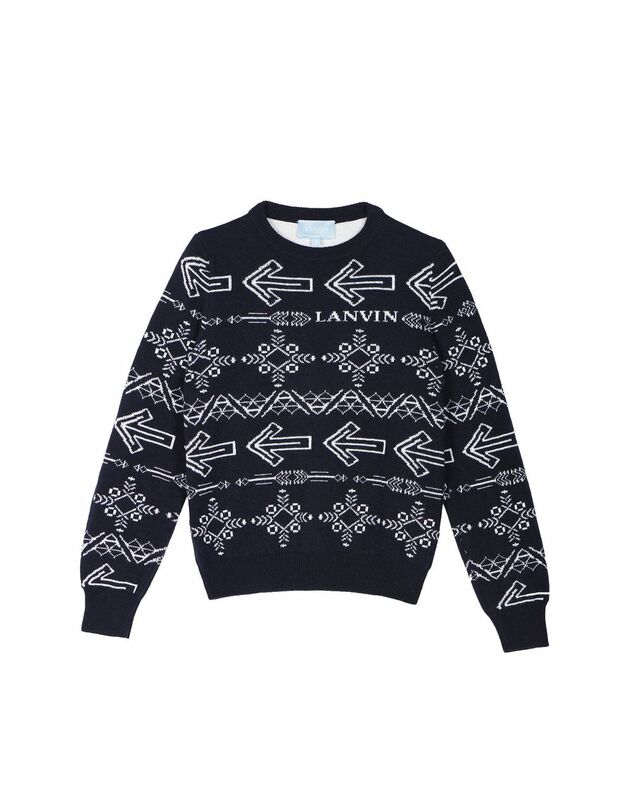 This navy blue jacquard sweater goes with the Fall-Winter 2018 kids selection. 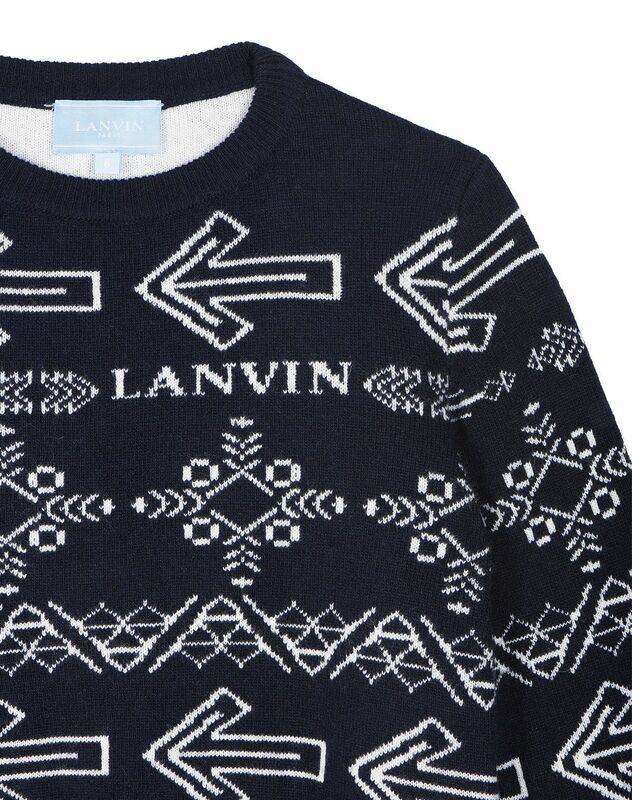 The exclusive arrow patch and the Lanvin logo leave the brand’s mark on this model. Main materials: 40% wool, 27% viscose, 25% polyamide, 8% cashmere. Made in Italy. Care conditions: Hand wash. Do not use bleach. Do not tumble dry. Iron at low temperature. Dry cleaning.